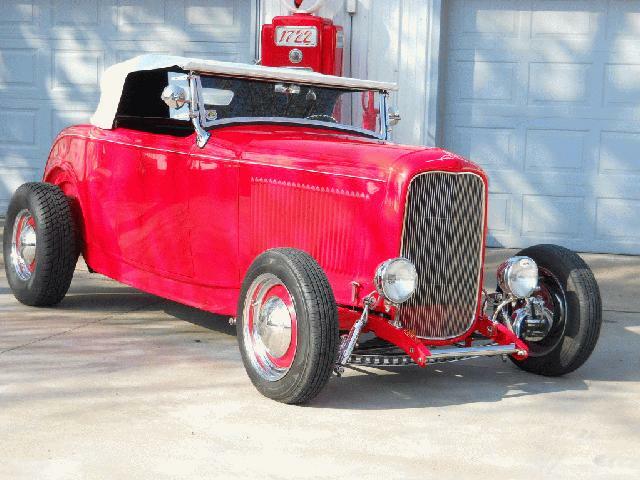 1932 Ford Roadster Wescott body, top with side curtians,Brookville steel shell, Rootlieb 4 pc hood. So-Cal stepbox chasss drilled and chromed front end.355 (370 hp) 350 trans, 2:79 geared 9" rear, ladder bar rear suspension. May trase 4 the right 32,33,34 coupe.